Join us for a Holiday Jingle Jam Camp this season! We'll gather for 3 sing-along circles full of Music Together® hits and jam packed with holiday classics. Let's shake those holiday bells and ring in the season with song and dance. 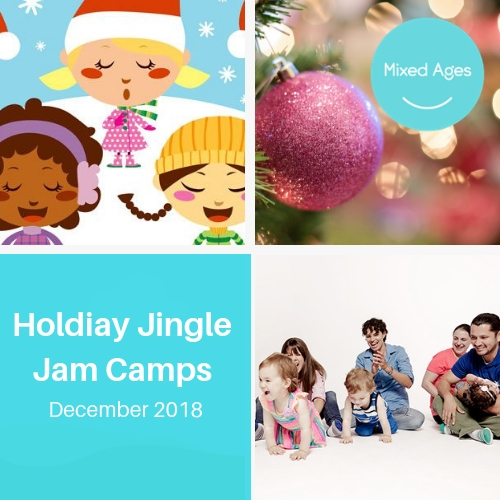 "Jingle bells, jingle bells....."
Register here and choose Holiday Jingle Jam Camp to select your class time and session (note the teacher name to choose your week). Log-in with your account or 'Continue without an Account'. Can make all 3 days? Join us for a drop-in! Choose your class here.